Nelson Mandela was one of the greatest examples of resistance, patience, and forgiveness that our world will ever know. It is our great honour to campaign in his name and answer his call to be the generation to end extreme poverty! 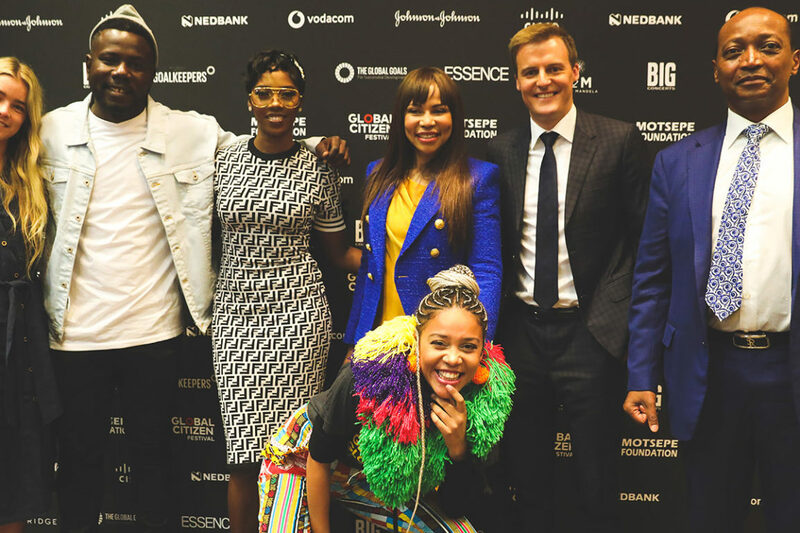 We partnered with Global Citizen because of the good work they do in encouraging young people to bring change in the world and their advocacy and commitment to end Global Poverty. The Motsepe Foundation has over many years initiated and supported projects in education, the provision of skills and expertise, health, research on HIV/AISD, sports, partnerships with religious and faith based organisations and traditional leaders, wildlife and environmental conservation. Activists and music fans can begin to earn their free tickets starting on August 21st and can sign up today at www.globalcitizen.org.za, demanding world leaders make major investments to end extreme poverty and take a stand for women and girls. The “Mandela 100” campaign seeks to mobilize USD $1 billion in new commitments for the world’s most marginalised people, with USD $500 million set to impact the lives of 20 million women and girls worldwide. These investments will be aimed at ending hunger and increasing access to good nutrition, ending neglected tropical diseases, reducing HIV transmission rates, ensuring every child receives a quality education, reforming and repealing sexist laws, providing funding for women’s health and family planning, and ensuring access to clean water and safe sanitation world wide. “Nelson Mandela was one of the greatest examples of resistance, patience, and forgiveness that our world will ever know. It is our great honour to campaign in his name and answer his call to be the generation to end extreme poverty,” – Hugh Evans, Global Citizen, Co-Founder and CEO.